There’s a whole lot of noise in the media about how a case currently before the Supreme Court, Janus V. AFSCME, will end civilization as the unions, in state, county and municipal jurisdictions in non-right-to-work states, understand it. Open Shop – An employment situation in which an employee is free to join or not join a union and the union has exclusive rights to negotiate a contract with the employer. Union Shop – An employment situation in which an employee is not required to be a union member to get a job but must join after a brief period of employment to keep the job with the employer. This is a common private sector arrangement in non-right-to-work states. Agency Shop – An employment situation in which an employee is free to join or not join a union but must pay a fee to the union having exclusive recognition to negotiate a contract with the employer. The fee is generally the union dues paid by members, less the percentage of dues that the union pays for political activities. The unions involved call the payment to a union a “fair share fee”. AFSCME is the American Federation of State, County and Municipal Employees, an affiliate of the AFL-CIO. Right-to-Work State has a law stating that employees in unionized workplaces may not be compelled to join a union, nor compelled to pay for any part of the cost of union representation, and workers generally get the same contract benefits as union members who do contribute. There are 27 right-to-work states. In the Janus case, the issue is whether the plaintiff, Mark Janus’ right to free speech under the constitution, is harmed in some way by his obligation to pay fees to AFSCME in an Agency Shop arrangement and, if so, are the 23 state laws creating it in some form or other unconstitutional? How Does This Case Affect Federal Employees? Simply put, it doesn’t. In 1978, the Federal sector labor law, enacted that year, created an open shop for Federal employees. A Federal employee may never be required to join a union. 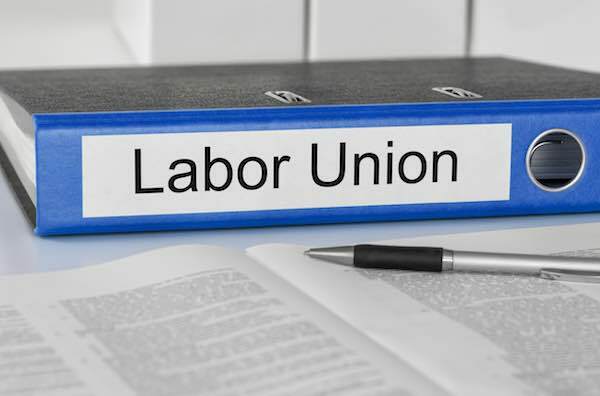 However, once a Federal employee joins a union which has bargaining rights in his organization, he or she must stay a member i.e., pay dues for a minimum of one year. Of course, I guess some might claim that dues withholding in Federal Agencies is involuntary if one can’t get out except at one-year intervals and that the Federal law is thereby unconstitutional as well. Who knows, maybe a Federal sector plaintiff will come forward. He or she would have to make an “I’m really stupid, save me from myself” argument since they joined the union in the first place with the understanding they couldn’t get out for a year. Impasses Panel Signals Policy Shift: Want It? Prove You Need It! Why Do Feds Join Unions and Pay Dues? « No Interim Pay for Some FERS Retirees?